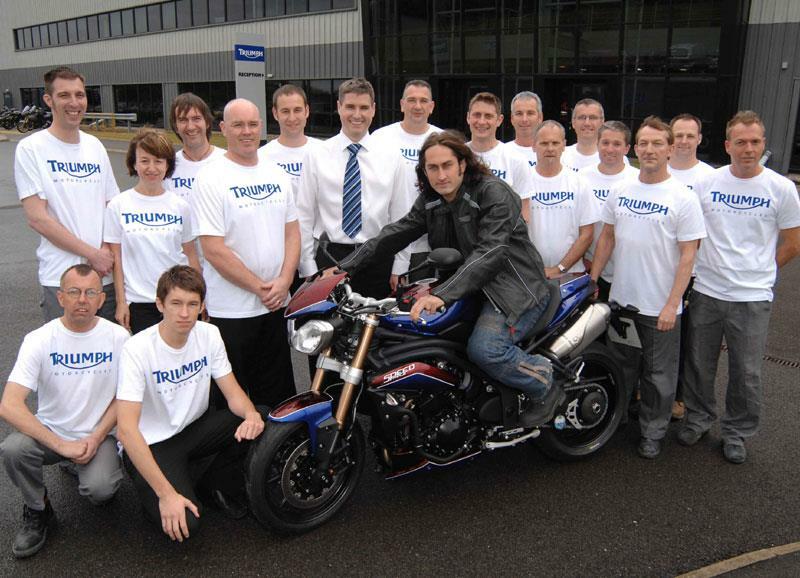 TV funnyman Ross Noble has begun his trip around the UK to commemorate 500,000 Triumphs made at the Hinckley factory. 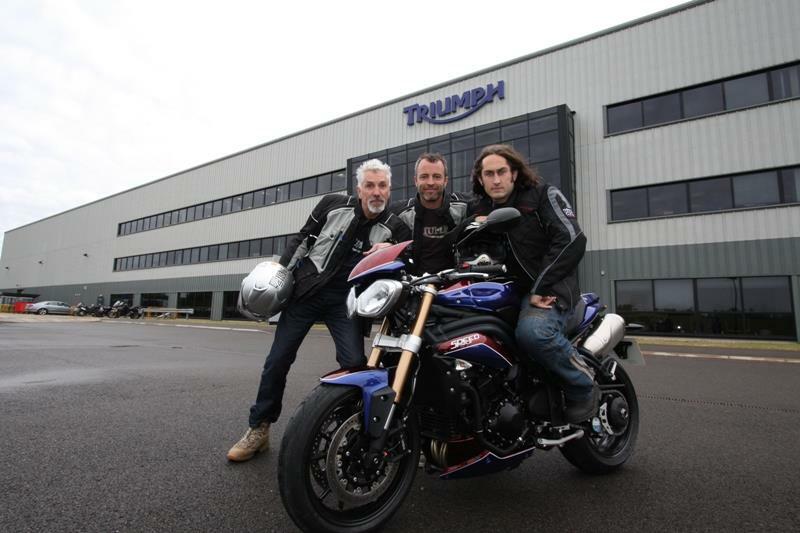 Riding a custom painted Speed Triple Ross set off from the Triumph factory in Hinckley this morning heading towards the pork pie nirvana of Melton Mowbray. 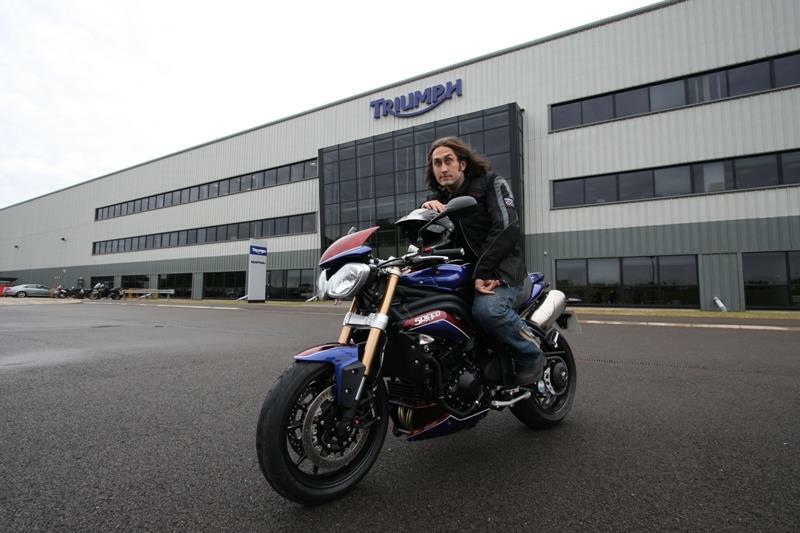 Noble's entire six-day tour will be guided by suggested tweets from followers of his Twitter page @realrossnoble, so if you want to invite Ross round for tea, get tweeting.